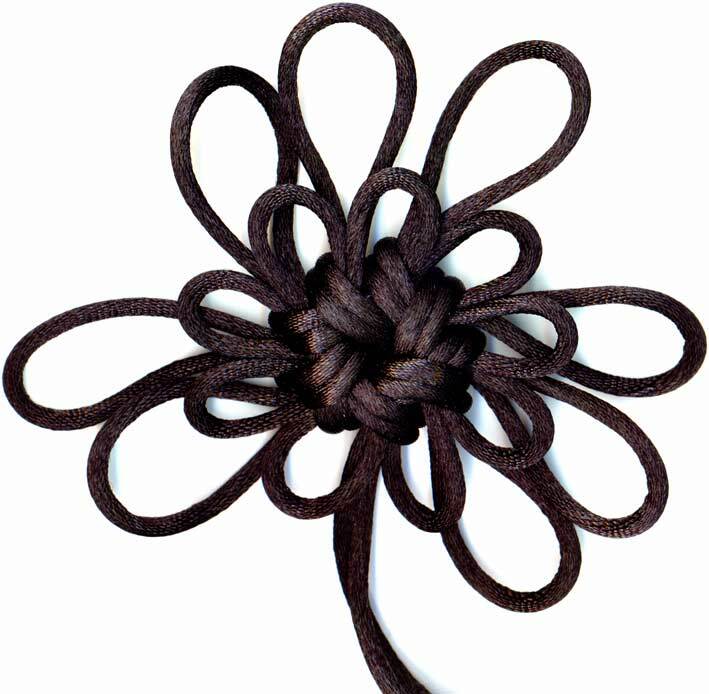 More of the similar. 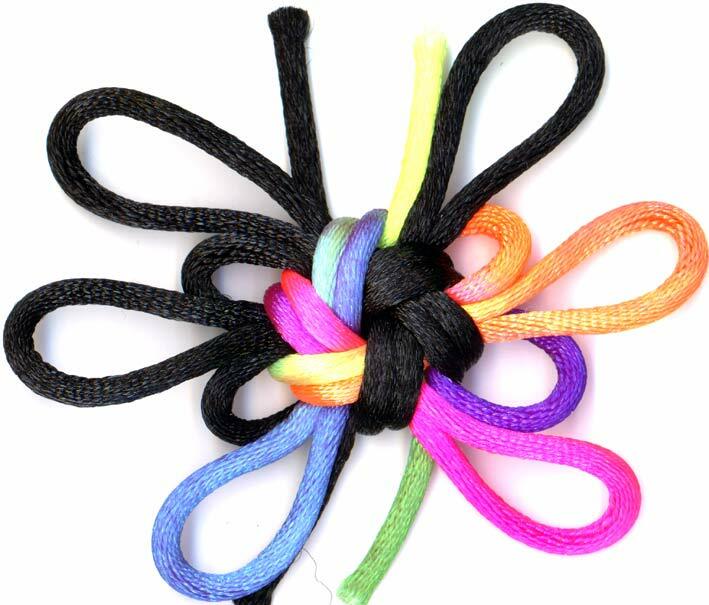 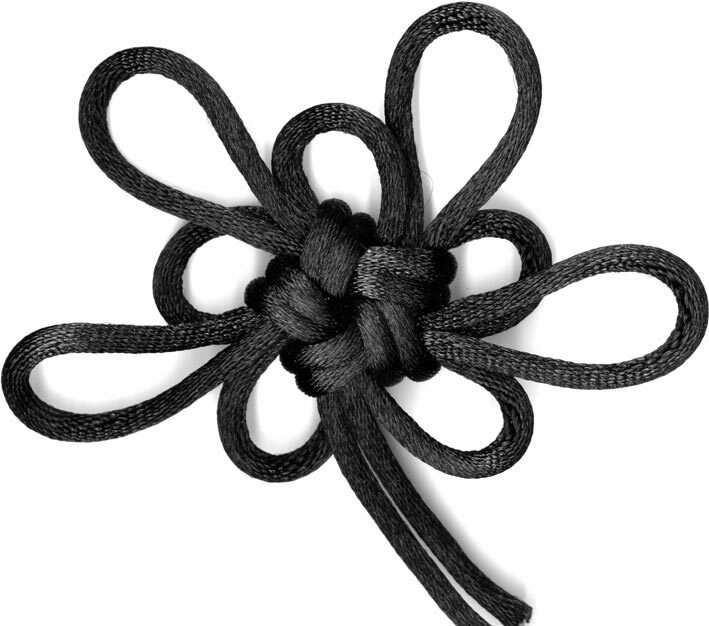 8) Octagonal (8 sided) good luck knot. 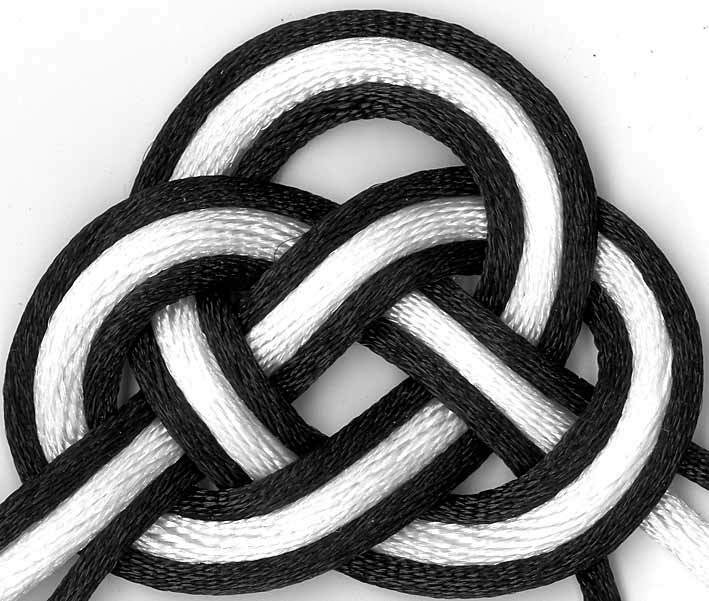 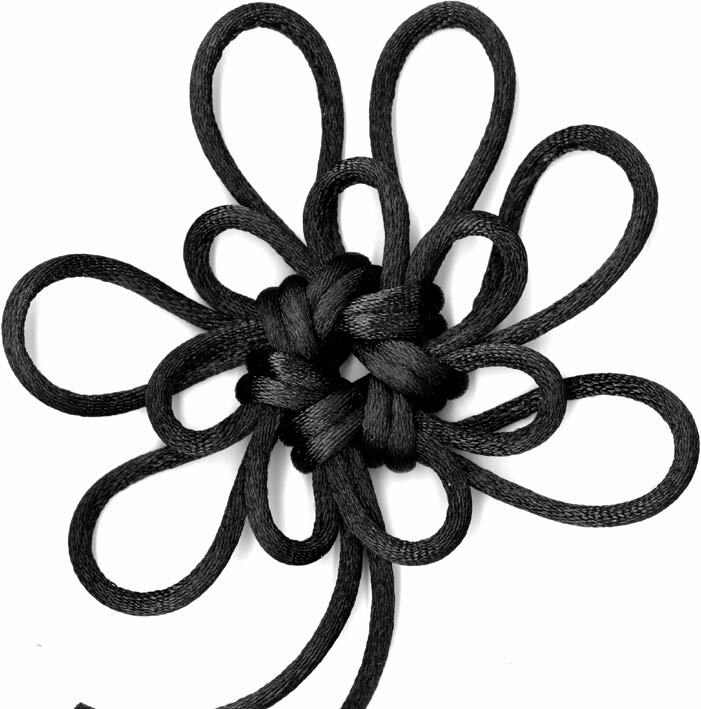 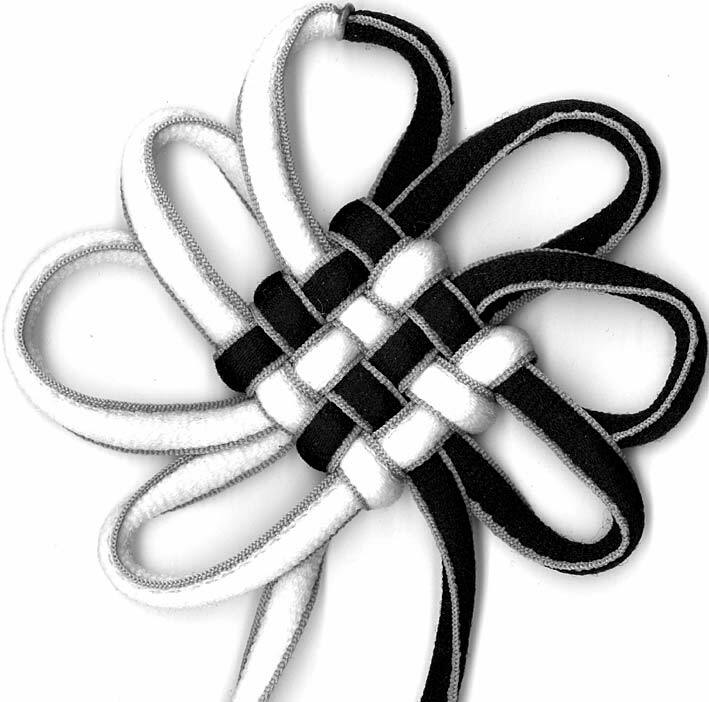 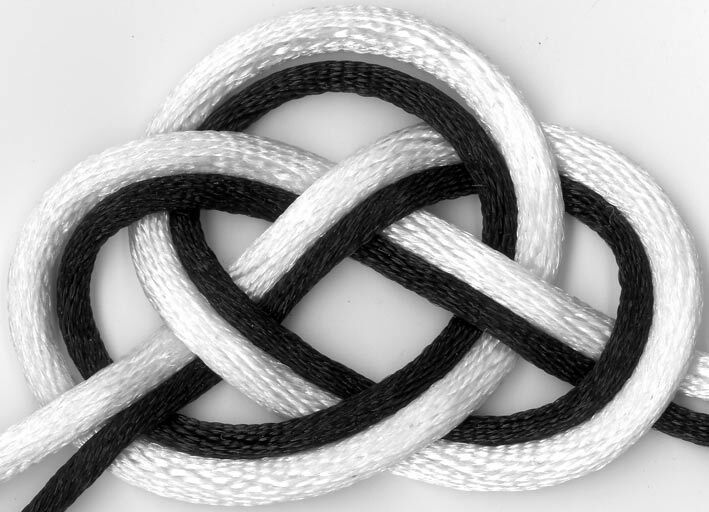 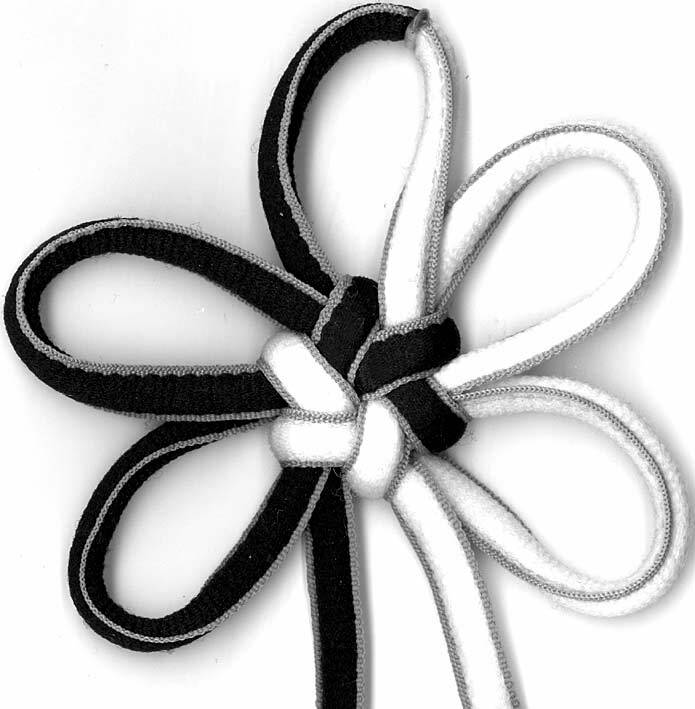 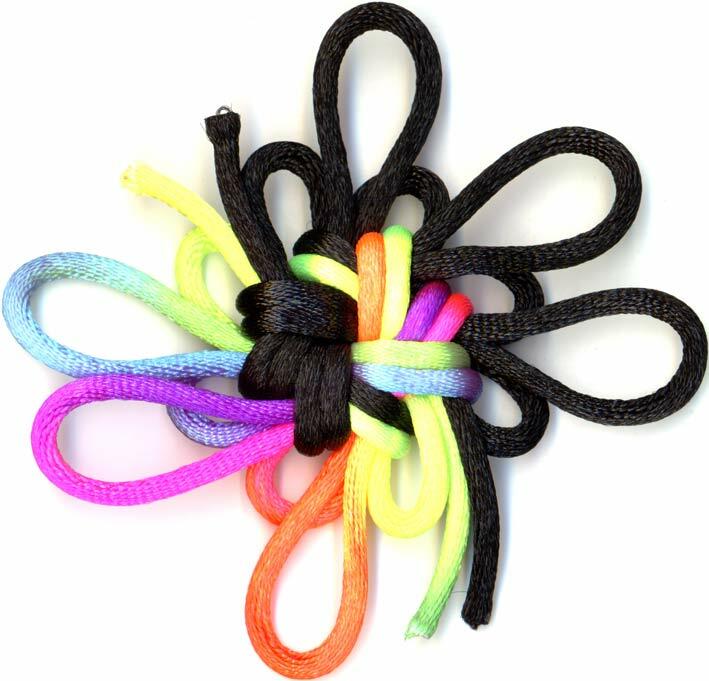 Again, as is traditional in Chinese knots, for an octagonal knot, the structural loops are overlapped 3 times.